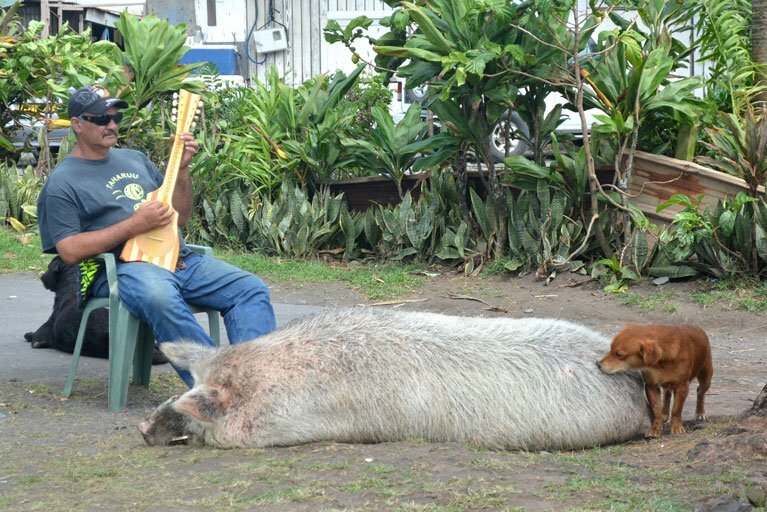 In Tahiti, life’s really a beach! 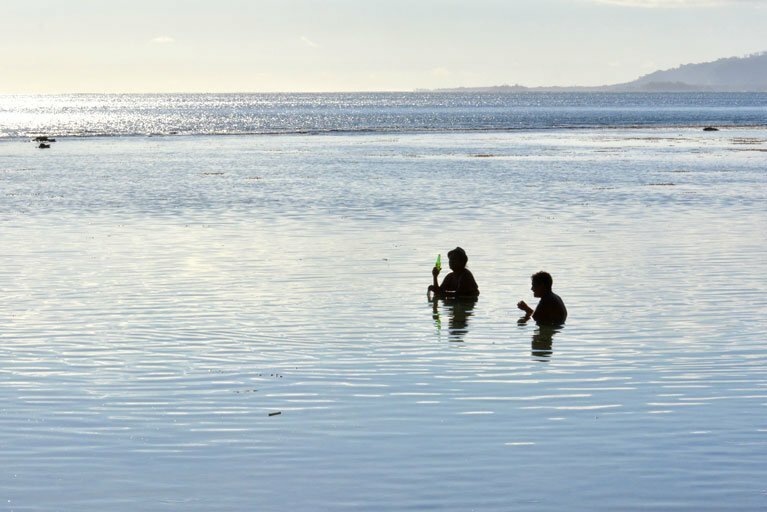 Bathing in the hot lagoon of Punaauia with a beer, watching the sun sliding down slowly. Nice! 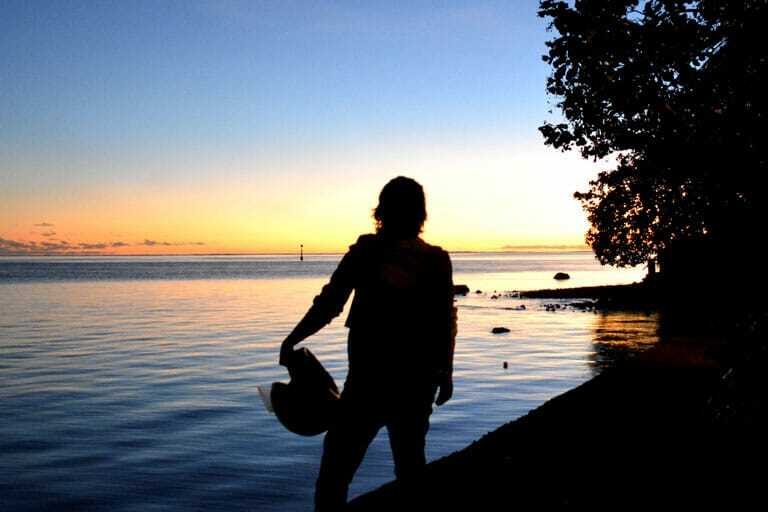 Stop over during a biking road trip around Tahiti to contemplate the magnificent sunset over the Pacific Ocean. 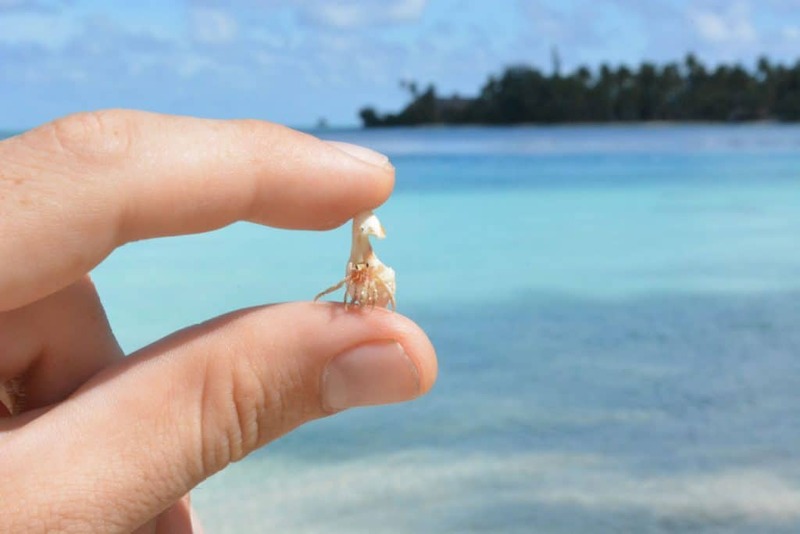 Someone has found one of King Tamatoa's (in Disney's Moana) sons. Who knows? If he's lucky enough, he might grow as strong and massive as his father... in a few centuries! Life's a beach! Sure you catch the peaceful feeling of these skating girls along Venus Point beach, in the municipality of Mahina. The beach break of Papenoo doesn't see much surfers in its waters during the austral winter. 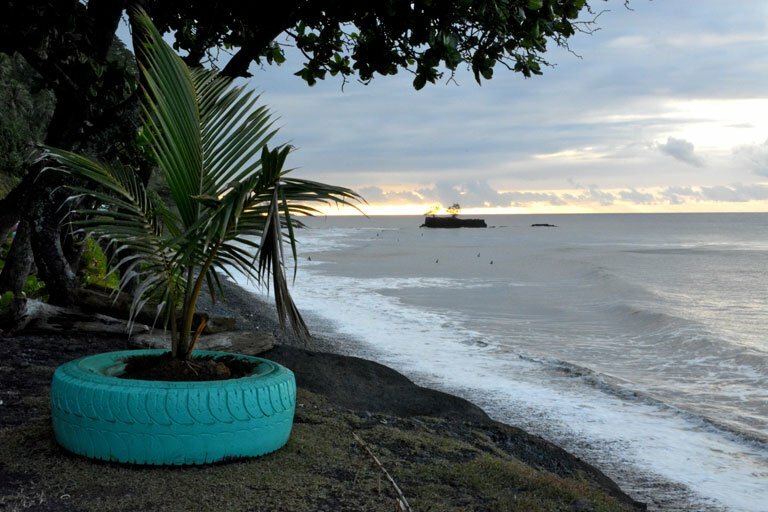 The shoreline has been recently decorated by the locals, who have found a glorious and colorful way of giving a new life to old tires. 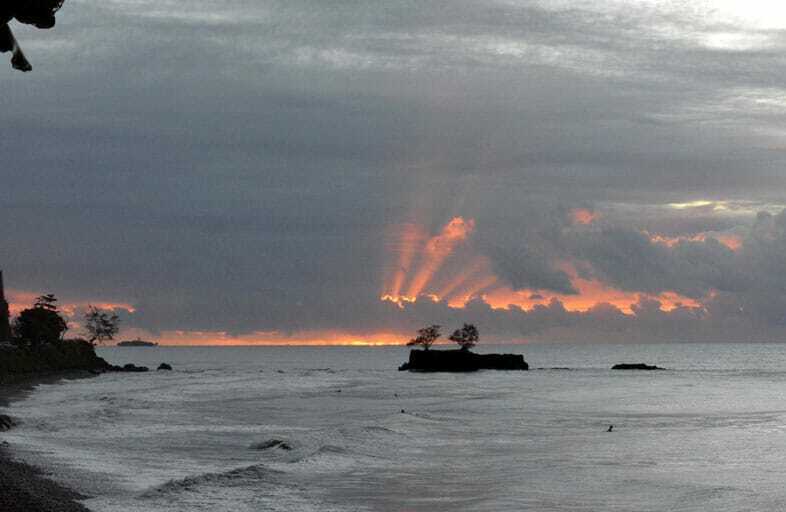 Focus on the towering island of the same beach break of Papenoo. It is crowned since immemorial times by this couple of heroic "aito" pines facing proudly the open sea. Previous Previous post: New Zealand’s lost 8th World Wonder spotted!